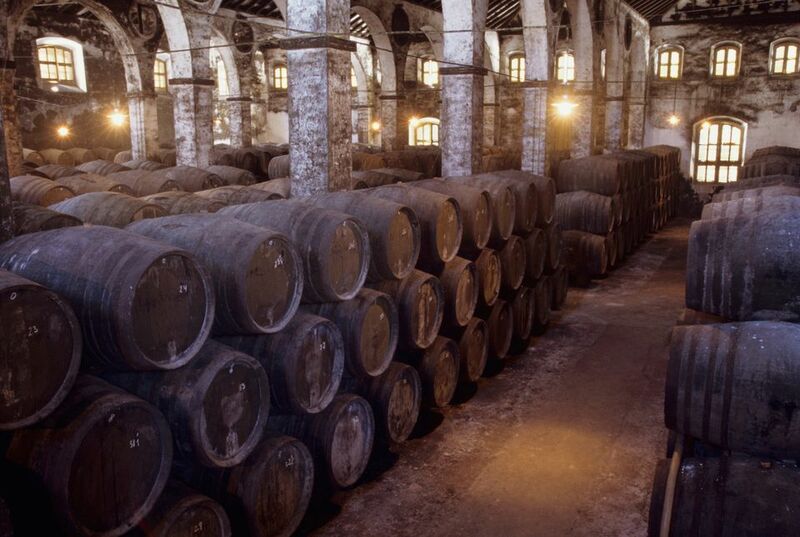 Pedro Ximénez is the name of a white grape, as well as the sweet Spanish sherry wine that is made from it. Pedro Ximénez wine is a sweet dessert wine, made from raisins. Like other sherries, it is made fortified with alcohol after fermenting, and before being aged using the traditional solera process. Sometimes, it is affectionately called by shortened name Pedro ximén, per ximén, ximén, or just plain ximénez. It is said that the grape was brought to Spain from the Rhine Valley by Pedro Ximén or Siemens, a soldier in the 1500s who served in the Spanish army in the Spanish Netherlands (tercio de Flanders). Although it is a romantic story, it seems unlikely that a grape from the Rhine would be able to adapt to the hot, dry climate of Southern Spain. A more probable explanation is that the grape comes from the Canary Islands, or that it is of Moorish origin. The first of two pressings to extract juice is done using a horizontal press and lasts 3 to 4 hours, and the must is very sweet and sticky. Because the grapes are allowed to dry into raisins before processing, the yield of must is much less. According to the book entitled "Los Vinos de Montilla Moriles" by Manuel María López Alejandre, only 29 liters (7.6 gallons) of sweet must is extracted from 100 kilos (220 pounds) of fresh grapes. The must is collected and due to its' high sugar content, begins to ferment rapidly. Alcohol is mixed with this sweet must to slow down and control the fermentation. When the weather cools down in Fall and Winter, the wine begins to clarify. It is fortified to 15 to 17 percent alcohol content. The wine is then aged in the traditional solera process.